I've adopted a low-carb diet over the past year to improve my health. Once I decided that it was time to change what I eat and how I think about food, I found it relatively easy to stick with it. This health transformation has been much more about my head than my body. But that doesn't mean I never have cravings. I do. Of course I do. Once I eliminated most carbohydrates from my diet, I was surprised to find that pizza was the thing I craved most often. So I started thinking about pizza substitutes. 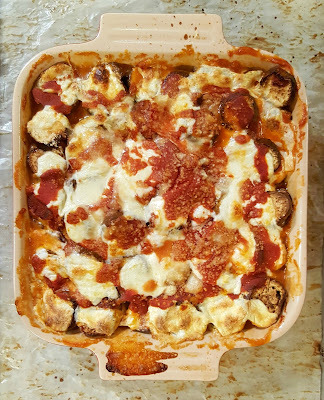 I started making this low-carb eggplant parmesan casserole a few weeks into my new lifestyle. I call it my "I Really Want Pizza Casserole." 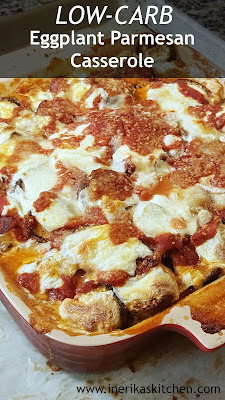 It's got all the flavor of pizza, with my favorite (no added sugar) tomato sauce and stretchy mozzarella cheese. Eggplant stands in for the starch. And instead of breadcrumbs, I use almond flour to absorb some of the liquid. The secret to getting the texture right is to bake the eggplant slices to dry them out a bit before assembling the casserole. That way the eggplant has some chewy heft to it and doesn't dissolve into mush. This low-carb eggplant parmesan casserole has all the flavor of pizza without sabotaging your low-carbohydrate diet. The secret to getting the right texture: drying the eggplant slices in the oven before assembling the casserole. Heat the oven to 375 degrees F. Line two baking sheets with parchment paper or foil, then spray with nonstick cooking spray.Slice the eggplants into 1/2-inch rounds (don't peel them). Lay the eggplant slices on the prepared baking sheets.Bake the eggplant slices for 30 minutes, until they are somewhat dried out and starting to look leathery. Remove the baking sheets from the oven and let cool 30 minutes. Leave the oven on.While the eggplant is baking, mix together the almond flour, parmesan cheese, garlic powder, salt, and Italian seasoning in a small bowl.Assemble the casserole: Spray a medium-sized casserole dish with nonstick cooking spray. Pour a few spoonfuls of tomato sauce in the bottom and spread it around. Lay down a layer of eggplant slices. Sprinkle over about 1/4 of the almond flour mixture, then some mozzarella. Drizzle some more of the sauce on top. Continue to layer the ingredients until all are used, ending with mozzarella and a drizzle of tomato sauce.Bake the casserole about 45 minutes, until the sauce is bubbling and the cheese is melted and golden brown in places on top. Serve hot. My specialty is making food that tastes good. I'm not quite so skilled when it comes to making food that's beautiful. 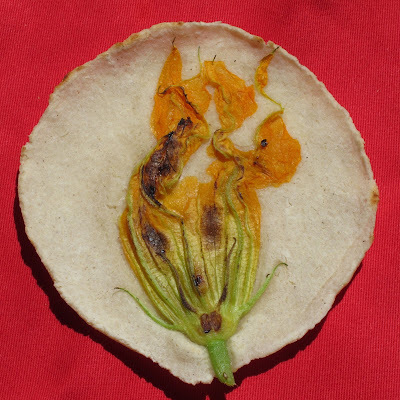 But when I saw these stunning fresh corn tortillas with zucchini flowers on Girl + Fire a few years back, I thought I'd take a shot. And guess what? It wasn't actually that hard. I love zucchini season and have created a ton of favorite zucchini recipes over the years. This is one of them. These tortillas with zucchini flowers aren't something I'm choosing to eat right now, but remember, I also cook for my family, and they don't need to restrict their foods just because I am. I've become a big fan of Maseca corn flour and now keep a bag in my pantry at all times. 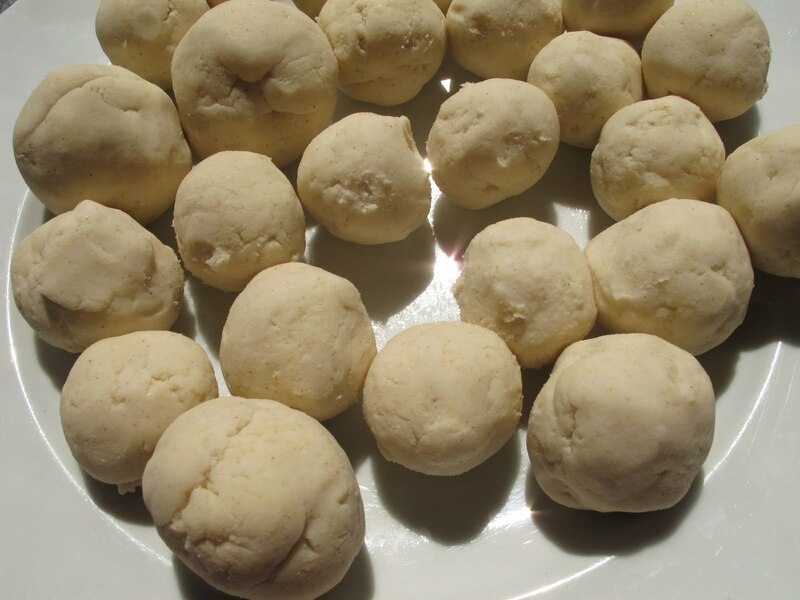 Mix Maseca with water to make dough, roll the dough into golf balls, press each one thin in a tortilla press, a minute in a nonstick skillet, and presto - tortillas. For a girl from Long Island who tasted her first tortilla long after her first legal margarita, it's pretty magical. If you can't find zucchini flowers, any edible flower will do, or try a branch or two of tarragon, chive flowers, a few sprigs of dill, thin strips of roasted bell pepper, or sliced olives. Fresh corn tortillas are easy and quick to make. Press edible zucchini blossoms into the tortillas for a dramatic presentation. Look for zucchini flowers at gourmet grocery stores or local farmers markets. In a medium-sized bowl, stir together the Maseca and water until a soft dough forms. It should be moist but not sticky. Roll the dough into balls about 2 inches in diameter, somewhere between a walnut and a golf ball. Cover the dough balls with a damp towel or a piece of plastic wrap to keep them from drying out.Line a tortilla press with waxed paper or plastic wrap. Place one dough ball on the press, put another piece of waxed paper or plastic wrap on top, and press down to flatten the tortilla. 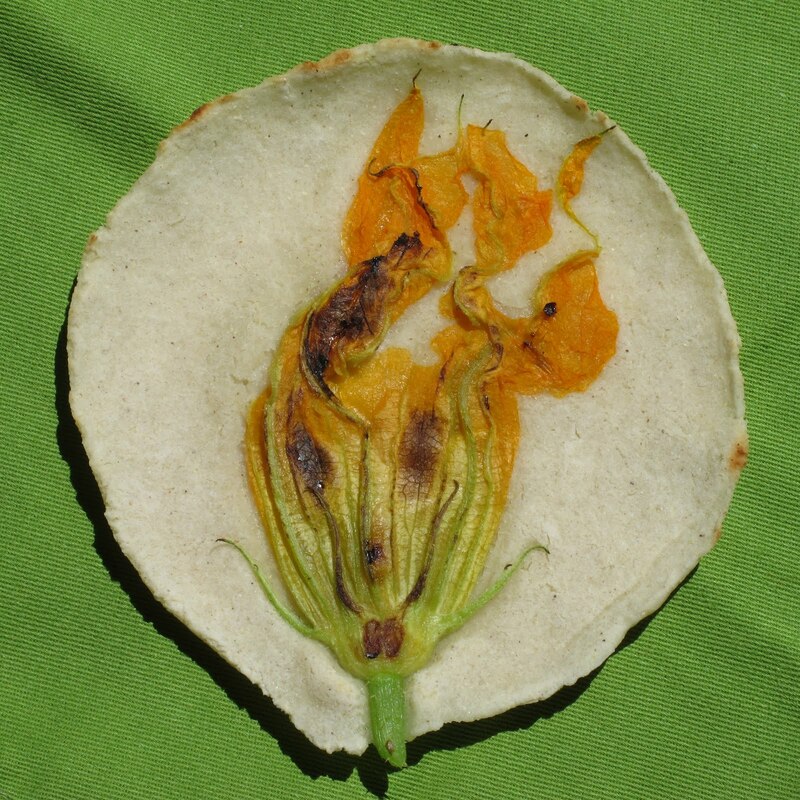 Lift the press, put one flower on the tortilla, replace the paper or plastic, and press down again gently to embed the flower into the raw tortilla.Heat a nonstick skillet over medium-high heat. Cook the tortilla until dry and cooked through, flipping to make sure both sides are cooked. Move the finished tortilla to a plate and cover with aluminum foil to keep it warm. 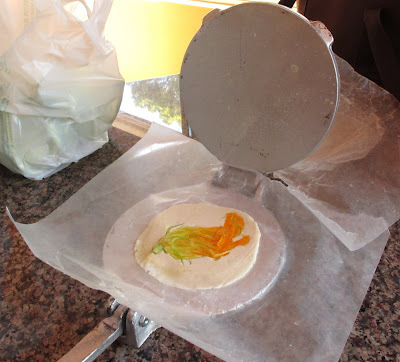 Continue with the rest of the tortilla dough and zucchini flowers. While one tortilla is cooking, press the next so it is waiting when the pan is empty. Serve warm. 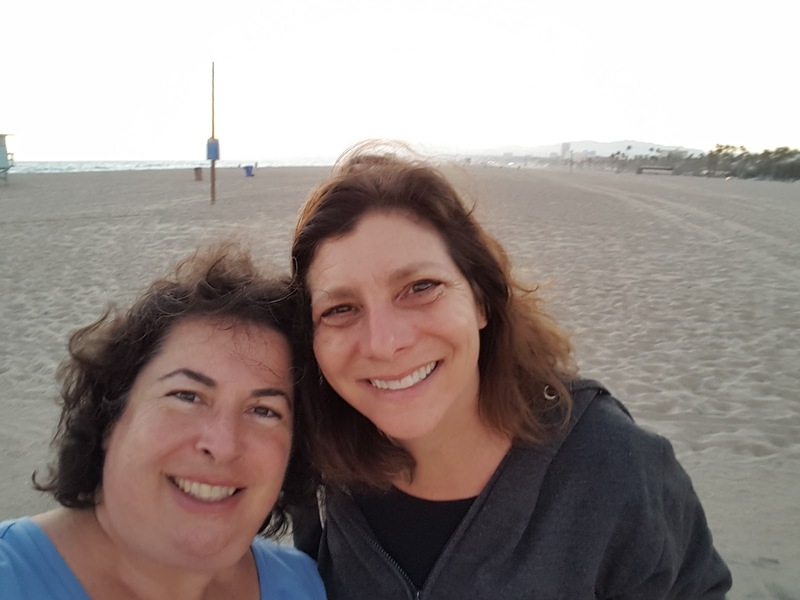 Shortly after I got the doctor's call last summer and decided to attack my diabetes and take control of my health, I realized that I had developed a lot of bad habits. It felt like the bad habits had crept up on me. It's not like I had actually decided to eat poorly, eat too much, and stop exercising. I mean...who would make those decisions consciously? But for whatever reason, that's exactly what I had done for years: eat poorly, eat too much, and avoid exercise. In the past I might have sat around for a few days, or weeks, or months, trying to figure out how I'd gotten to where I was. Thinking that if I understood how it happened, I'd be able to avoid it in the future. This time I didn't give the past a moment's thought. It didn't matter why or how I'd developed those bad habits. All that mattered was what I could do to change them. I was about to write "I can't tell you how many times I had tried to break these bad habits in the past." But as I was typing it, I realized that it wasn't true. I had never really tried to break these habits before. Instead, I made excuses for why I didn't need to break them. I might have made half-hearted attempts to change my eating and exercise habits. But in my mind, the changes were temporary. They were things I had to do to achieve whatever short-term goal was in front of me: losing weight, mostly. But as soon as I was near the goal, I screamed "I'M DONE!" in my head and went right back to my old habits. With predictable results. This time is different because I have decided that the bad habits are gone for good. My new habits are the way it's going to be for the rest of my life. Without excuses. This next part is going to sound a little crazy, but it's true: I started breaking my bad habits by talking to myself. I'll write more about this in another post, but for now, think of it like leaving yourself notes on your bathroom mirror. Focusing on long-term goals felt overwhelming. So I decided to stay in the moment. And that's what I talked to myself about. Every day I asked myself: What am I going to do today? What can I do right now, right this second, to make myself healthier? What decisions will I make today that will move things in the right direction? I figured if I could do the right things today, then I could wake up and decide to do the right things again tomorrow. And then the day after that. One day at a time, I ate better, ate less, ate only when I was hungry, and exercised. One day at a time, I made new habits. That last one is important. It's easy for parents, particularly moms, to subjugate our needs to those of our children. Sometimes, of course, it's the right thing to do. If my kid is bleeding and needs to go to the emergency room, I'm not going to say "Hang on, honey, I've only got 10 minutes left on the elliptical." But daily exercise is a need for me. It's not a nice-to-have. It's a have-to-have, or my health will suffer. So if my kid wants a ride to school because he's running late and doesn't feel like race-walking with a heavy backpack, and giving him a ride means I won't get to exercise before going to work...guess what? He's walking. If there's one portion of last night's dinner left and I can either pack it in my lunchbox or leave it for my husband...I pack it. There's one new habit I have tried hard not to set, by the way: I am not my family's Food and Exercise Police. And I don't intend to be. I'm leading by example, but they need to do what's right for them and make their own decisions. Oven-roasted vegetables cut into sticks, like these baked parsnip fries, have gotten my kids to eat a ton of vegetables without complaint over the years. I don't believe in hiding vegetables for kids. I puree them into soup (cauliflower soup, celery soup, even lettuce soup). I sauce them up with cheese (zucchini rice casserole, zucchini gratin). 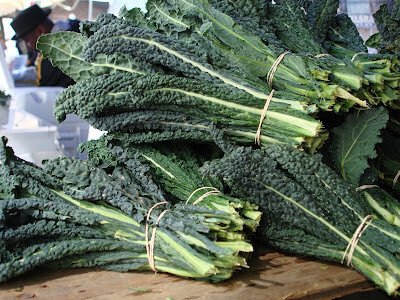 I shred them or chop them and fry them up into pancakes (bacon corn fritters, spinach pancakes, zucchini fritters). These are vegetables transformed, not disguised. I see this as a completely legitimate way to get kids to eat more vegetables. And yes, I know my kids are teenagers. Sometimes they still need a reminder. I'm also a fan of trompe l'oeil. Inside an old European cathedral, this artistic technique, literally translated from the French as "fools the eye," means wood painted to look like marble. In my kitchen, trompe l'oeil means vegetables other than white potatoes cut and cooked like french fries. I have nothing against potatoes - in fact, it's my family's overwhelming love for potatoes that makes this slick family-feeding technique possible in the first place. I've made "fake fries" out of carrots, sweet potatoes, kohlrabi, turnips, black radishes, zucchini and broccoli stems. Cut in batons, toss with olive oil and salt, oven-roast on a baking sheet until brown and crisp. If you can pick it up with your fingers and dip it in Not Ketchup, it's a winner with my family. My favorite french fry substitute is the sweet, pale parsnip, whose sugars concentrate and flavors intensify exponentially when prepared this way. I don't eat a lot of starchy vegetables at the moment, but I've been known to make these for dinner and eat the whole batch standing at the counter before I've even called the kids to the table. No one loves fries more than I do. A great alternative to traditional french fries, these parsnip fries bake up sweet and crispy. Preheat the oven to 400 degrees.Cut the parsnips into batons. It doesn't really matter exactly how you do it, but you're looking to get the pieces more or less the same size so they cook at the same speed. Parsnips tend to be much thicker at the top than at the root end, so this may take some creative cutting. No need to be obsessive about it; do the best you can.Scatter the parsnip batons on a rimmed baking sheet, drizzle over the olive oil, and sprinkle on the salt. Using your hands, toss the parsnip pieces until the oil and salt are well distributed. 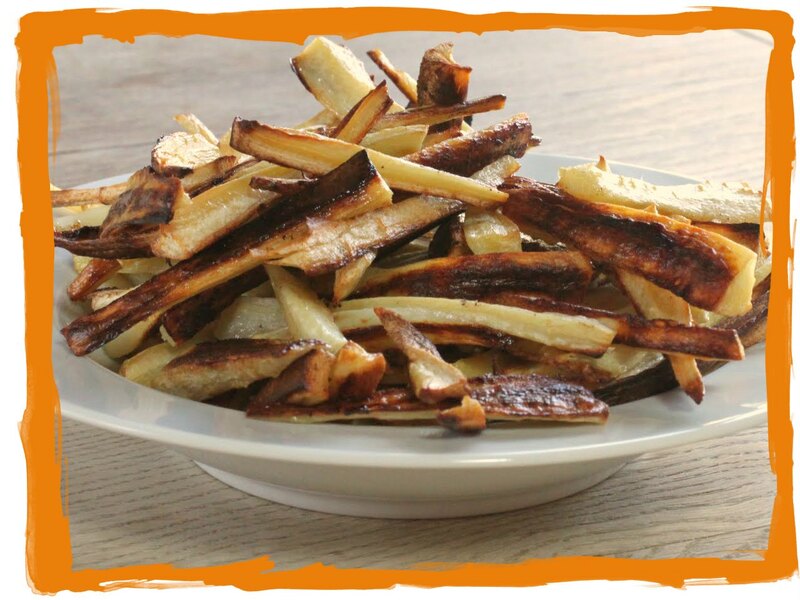 Spread the parsnip pieces out into a single layer.Roast the parsnip fries 20-30 minutes, checking every 10 minutes and, if you like, tossing them around with a spatula once or twice to brown them evenly. 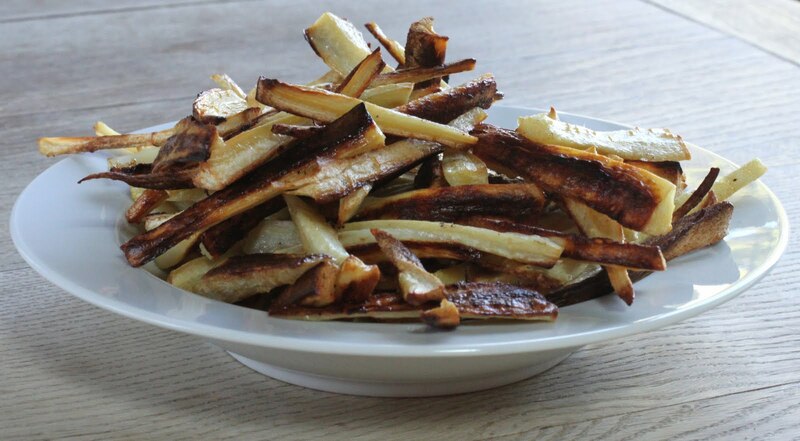 Take them out when they've got nice brown edges and spots, but don't let them burn - blackened parsnip fries are bitter (and yes, I speak from experience). Serve immediately. 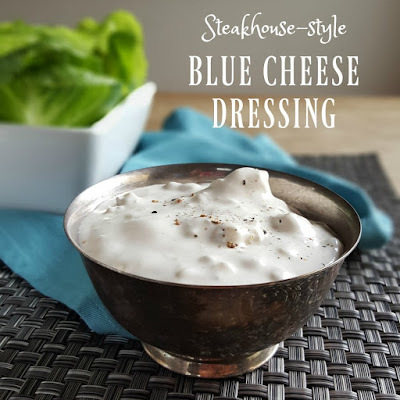 One of the reasons I decided to try a low-carb diet when it was time to improve my health (although I hate that word, diet, so let's call it a low-carb style of eating) is that I cannot live without blue cheese dressing. The first time I tasted blue cheese dressing on a salad I was nine. It was late winter. My parents had decided to drive the family out to the east end of Long Island for a seafood dinner, so maybe we were in Greenport, or Orient Point, or even Montauk. I don't ever recall a stronger reaction to a taste. Not before that day, and not since. Ever since I committed to myself that I was going to get healthier, I have been packing raw vegetables in my lunchbox every day, along with a container of this homemade blue cheese dressing. I love to dip. 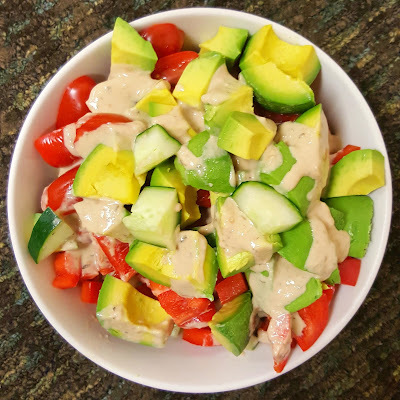 Lettuce, cucumber, radishes, carrots, bell peppers, celery, kohlrabi, cherry tomatoes: They all taste better dunked in blue cheese dressing. This easy recipe takes less than five minutes to put together. The key is to let it sit overnight. It's much, much better after a rest in the refrigerator. This steakhouse-style blue cheese dressing is packed with umami-rich chunks of pungent blue cheese. Let it rest in the refrigerator overnight for maximum flavor. This makes a very thick dressing - if you prefer a thinner consistency, add a little water or heavy cream. 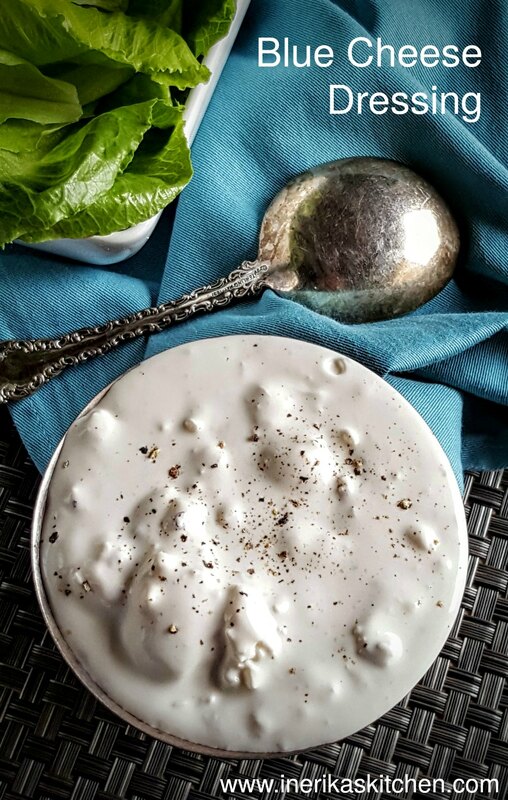 In a medium-sized bowl, whisk together the sour cream, mayonnaise, lemon juice, hot sauce, fish sauce, and pepper. Add the crumbled blue cheese and stir to combine, mashing the cheese with the back of your spoon if the chunks are too big.Transfer to an airtight container. Refrigerate overnight before serving. Ever since I decided to attack my diabetes, improve my health and change my life, I have gotten one question more than any other from friends, family, and even strangers. The short answer: I eat anything I believe will help me get healthier and stay that way. I want to share with you the basic low-carb guidelines I try to follow 95% of the time to control my diabetes. I want to stress that this is the approach I decided to take for my body and my health. I am not saying this is what you should do. This is what has worked for me, period. Protein includes beef, lamb, bison, pork, chicken, turkey, fish, shellfish, eggs, some tofu, and probably a few more animals I'm forgetting. I eat protein at every meal — sometimes a little, sometimes a lot. Vegetables includes everything green and most things orange, red, yellow and purple. I eat lettuce, kale, chard, bell peppers, carrots, tomatoes, onions, eggplant and zucchini. I eat more vegetables than anything else. Fat includes butter, olive oil, avocado oil, avocados, nuts, nut butter, coconut, coconut oil and cheese. I don't skimp on fat. Fruit includes strawberries, raspberries, blackberries, blueberries, and occasionally other summer fruits like nectarines, melons, peaches and cherries. By "occasionally" I mean once or twice a week. In the winter I hardly ate any fruit at all; now that it's summer I'll probably have one serving of fruit 3-4 times per week. Why the seasonal difference? I like summer fruit more than winter fruit. Legumes includes black beans, garbanzo beans or other incidental legumes that show up in restaurant dishes. I don't seek legumes out, but if they're in something I've ordered I won't pick them out. Chocolate includes dark chocolate, usually 85%. I also like the stevia-sweetened chocolate from Lily's Sweets. I eat a few squares each week. A girl needs her antioxidants. Grains includes wheat, barley, rye, corn, millet, oats...the whole category. The one exception I make sometimes are these low-carb tortillas by La Tortilla Factory. I eat 3-4 of these per week. Starchy vegetables include potatoes, sweet potatoes, yucca, plantains and butternut squash. 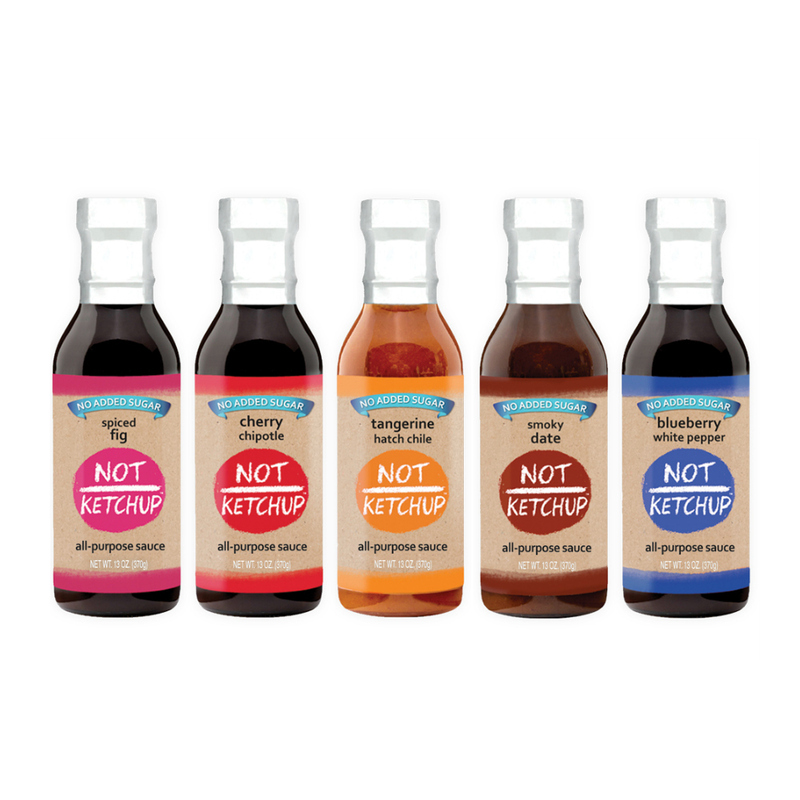 Sugar includes anything containing sugar, honey, molasses, coconut sugar, agave, or any other sweetener. I settled on this way of eating because I thought it was well-suited for my tastes, my body and my life. I am apple-shaped and thus more likely to suffer from the cluster of challenges associated with metabolic syndrome. Some studies have recommended a low-carb diet for people with metabolic syndrome. I wanted to focus on eating more vegetables. I don't have a sweet tooth. I had never tried eating low-carb and know people who find it satisfying and helpful. It felt like something I might be able to do every single day for the rest of my life. I was looking for a lifestyle, not a diet. This has to last. Got questions? I'd love to hear them, so leave me a comment. Just know that some of the answers are going to be along the lines of "because that's what felt right to me" instead of having any scientific foundation.